In the heart of the unique Brookside Shops you'll find the classic charm and warmth of Carmen's Cafe. Stop by for a drink in the cozy bar or wind your way past the open cooking area into the mirrored dining area, where the sunlight pours in through large windows at lunch and white tablecloths and candles form a softer mood for dinner. From all over Kansas City they come to break bread at this delightful neighborhood bistro. This is one of our all time favorite resturants. As usual it was a pleasant experience-- it was prom night so louder than ususal. Ray was awesome. Very nice and pleasant. Great food as always. We celebrated a family birthday with a larger party at the restaurant and discovered they have an upstairs dining room - never new! Everything was perfect, they seated our guests as they arrived which is sometimes an issue with large parties and everyone loved their dinners. We like the fact that the portions are not overly huge, but a more reasonable size. Most are able to clean their plates and we didn't end up with a mountain of styrofoam boxes in our refrigerator. Definitely a neighborhood favorite! Keep up the good work. You will not be disappointed with the food or staff. Its 3 hours trip for me but well worth it. I try to go twice a year. Carmen's used to be one of our favorite local restaurants. Not sure what has happened, as we haven't been there in about 8 months but it was not good. The rigatoni tasted like plastic. 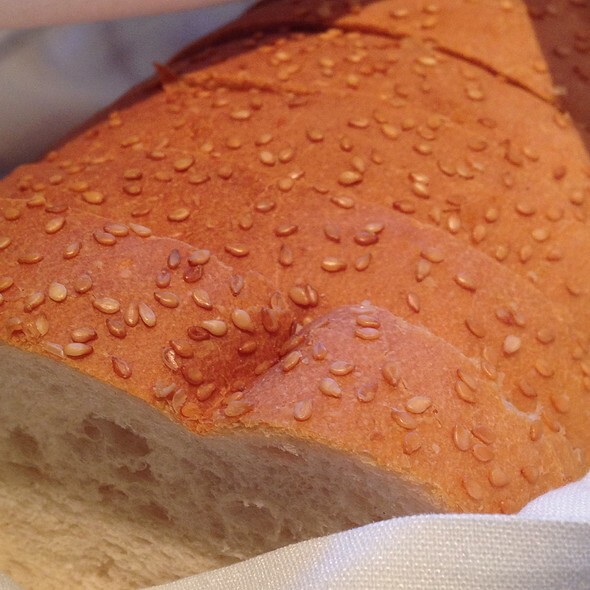 The food wasn't very hot when it came out either. The wait staff was attentive and the place was as we remembered it, but I was really disappointed and probably won't go back. We enjoyed a great dinner at Carmen’s!!! They have a great lunch menu too!!! Love. Love. Love it here! It’s our go to special dinner spot. 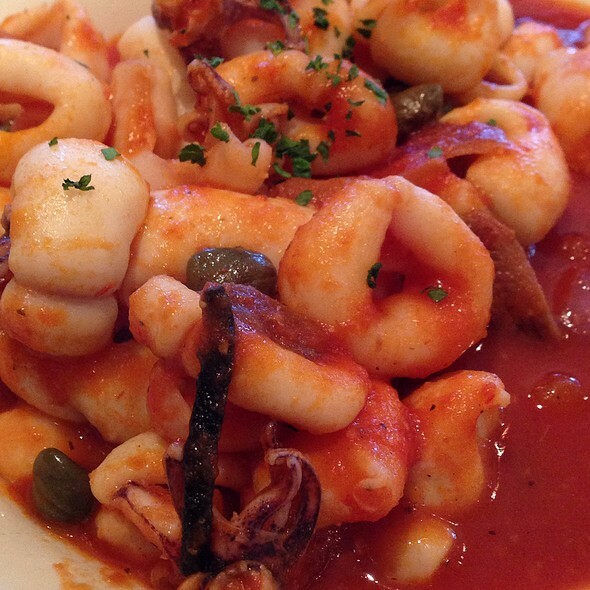 Best calamari and martinis!! Carmen’s is a great neighborhood treasure! 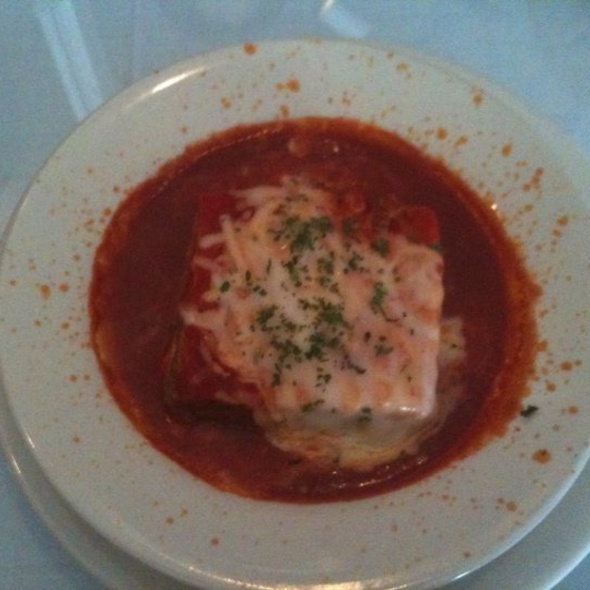 Lasagna is excellent as is the eggplant parmigiana! Great servers and they make a good drink! It's been a long time since I went to Carmen's for lunch. The grilled salmon salad was terrific. I'll have it again. Good variety on the menu. Our server was very attentive and accommodating. Always love eating at Carmen’s. Fantastic food and delightful staff. Judy’s Rigatoni is a favorite. What a lovely cafe! Food was excellent! Waiter was excellent. Parking was horrendous but, I should mention it was St. Patty's day weekend but, that area is always rough for parking. I will definitely visit again! Atmosphere is comfortable - not too noisy. Steak Oscar and Chicken Oscar excellent. Table for 4 a little small for all the dishes. Always a warm welcome and terrific hospitality at Carmen's Cafe. Good service. However, every time I've been on a busy night, my meal has been subpar. Kudos to Carmen's for offering anchovies for their caesar salad but the whole thing was dripping in dressing that made it practically inedible. I ordered Chicken Lemonatta for my entree (which is usually great on a slow night). It arrived tough as leather and cold. It apparently sat waiting for service while the pasta dishes my Father and Brother ordered were completed. My mother ordered the crab cake appetizer as her entree, which showed up at least 10 minutes after the other meals. Mom reported that the crab cakes were bland and could use more spices. 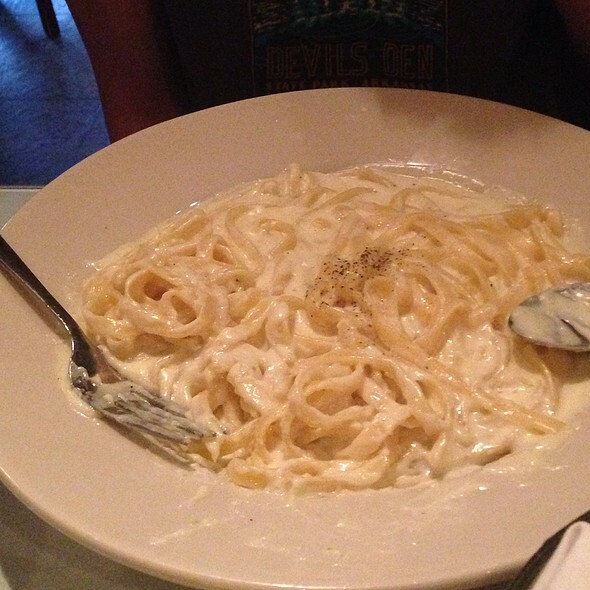 The pasta dishes were piping hot and well-loved. Half Price Wine night brought out crowds and mitigated the disappointment but with so many great Italian options in Kansas City, I probably won't return--and if I do, it'll be on a Monday or Tuesday night! We had a wonderful evening. A social group outing of ten and the service and food was excellent. Some in our group had never been to Carmen's and they loved it. The food was delicious from appetizers to salads to entrees. Took food home so it was two dinners for us. Service good as well. We have already recommended and we will be back! Don's Artichoke is the best--huge and loaded with seafood, prosciutto , cheese and breadcrumbs. Five of us split it for an appetizer and it was more than enough. 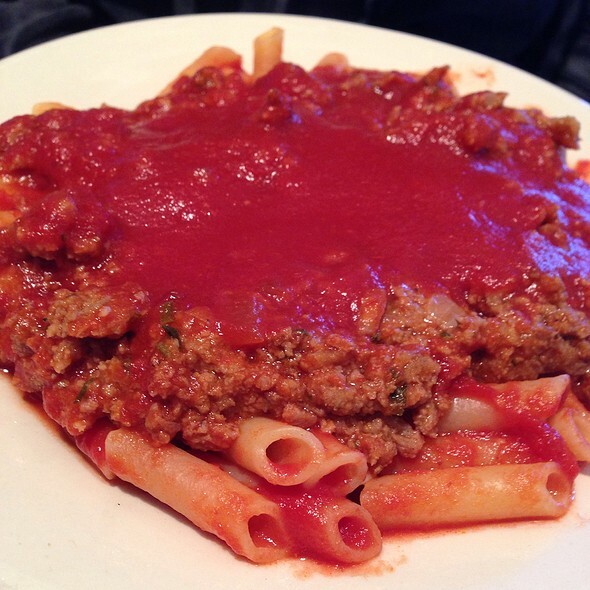 I always get the eggplant parmesan which comes with a side of pasta. It is so good, and it is always enough for me to take leftovers for the next day. My husband always gets the Steak Modiga. 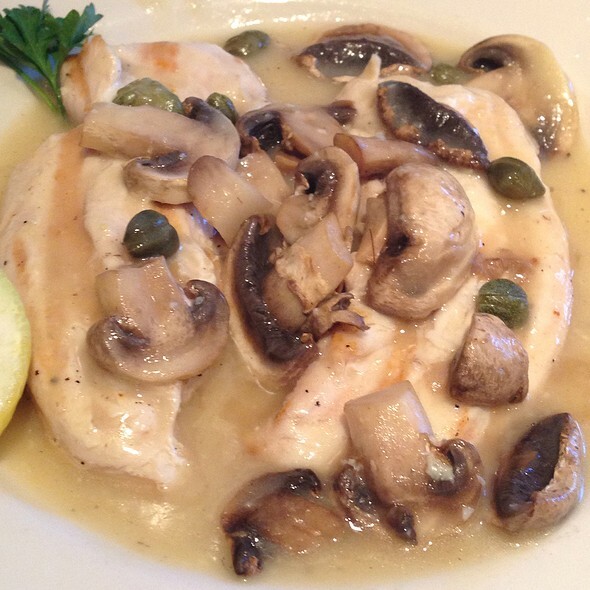 It is 2 steak medallions topped with provolone cheese and mushrooms in a butter-wine sauce. Again, he always has enough for leftovers the next day. Our friend got Chicken jSpedieni, and he said it was great. Carmen's is a friendly, cozy restaurant with a "neighborhood restaurant" feel. It's nice that they also take reservations. Our waitress was professional, kind and knowledgeable of the food and menu. She recommended great items, Don’s Artichoke and Oscar spedini dish was incredible. Thank you for a nice evening! 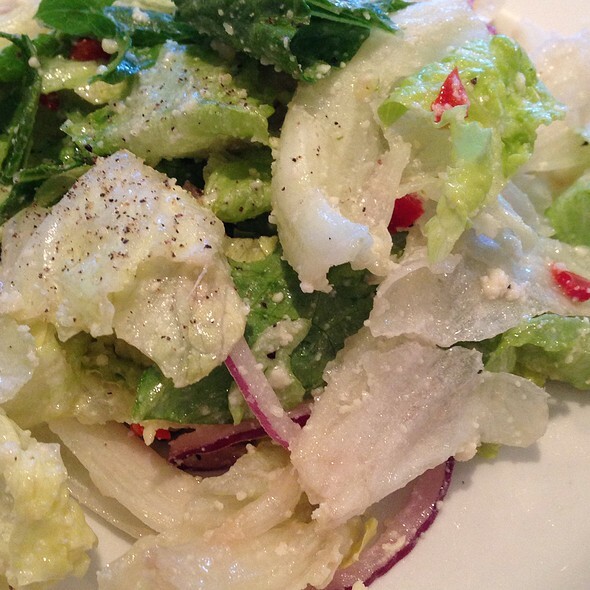 We are regulars at Carmen's for food, service and convenient location. Always terrific food and this was no exception. Delicious Italian cuisine! After sitting down at our table a strong bleach cleaning solution smell took over. It was so strong that we asked several times about it. My husband and daughter had to leave because it made them feel sick. We brought our concern to the manager and nothing was done about it. Waiter gave great suggestions and food was fantastic. Support KC! It's a great value. My wife and I had our very first date at Carmen’s Cafe and have been back every Anniversary and most Valentines Days! 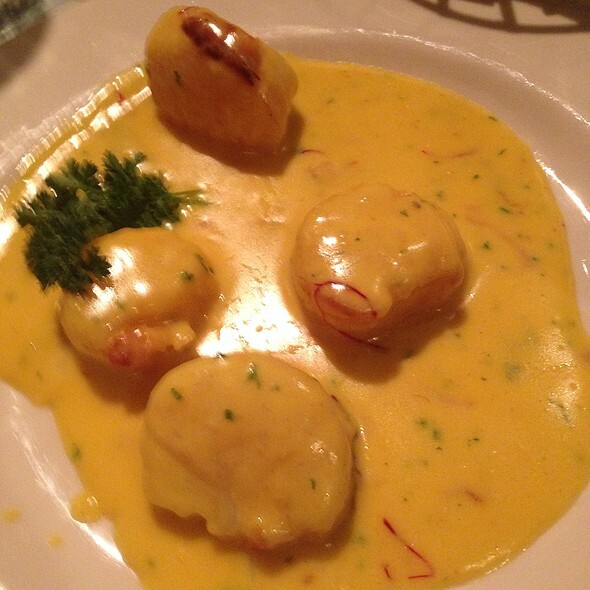 We are fanatics because the food and the service never disappoints! 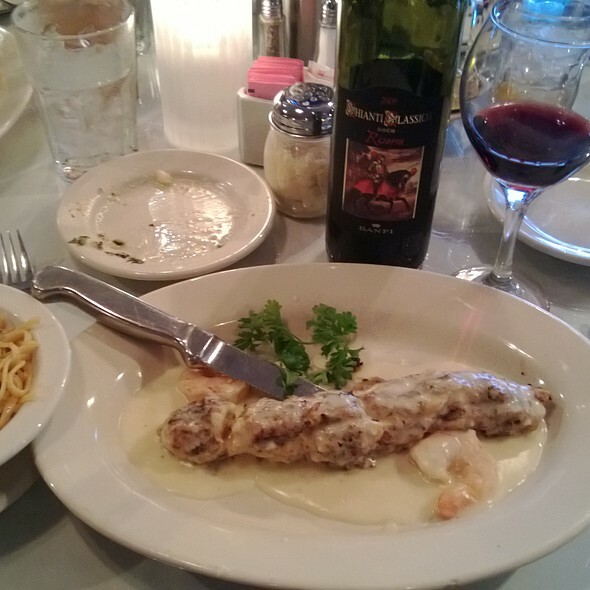 We highly recommend Carmen’s to all our friends co-workers, as well as acquaintances. The veal parmigiana was extremely thin and, although plated lovely, it was not filling. Service wasn’t the best. I ordered moscato and got a white wine I told the server it was wrong but she said it wasn’t. I ordered it a second time and it was wrong again. When I told her she said she poured it herself. I told her to bring me the bottle and let me see it. After that she came back and said it was wrong after all. Everyone the food came it was given to the wrong person. The chicken spedieni wasn’t as good as usual. Maybe it was an off night??? Delicious dinner. Table was ready when we arrived. Wonderful service. Only thought was would have been a nice touch to add a heart-chocolate, a rose on table... or something to feel a little Valentine’s Day-ish. Even without without, it was a lovely evening. Thank you! Love Carmen’s! We were quickly seated and enjoyed the remoantic ambiance. Perfect Valentines Day. Charming, great service, cozy bordering on cramped. Both of our dishes were outstanding. Carmens didn't disappoint for our Valentine dinner. Thank you! Always a great dinner and enjoyable experience with my spouse. I was surprised that the menu was limited on the night we went. I was hoping to pick my favorite meal but it wasn’t available due to the limited menu that night. Our dinner was delicious and cooked just right. The service was wonderful and I would highly recommend this restaurant to everyone! Our nephew was in town from Florida, had been here before and really enjoyed it, so we brought him back. Great meal as always! This is our favorite place to get steaks. Highly recommend the Steak Marsala and Steak Modena. Always perfect! If you want a cool experience, request sitting at the end of the bar with the cooks.